At the extreme north-western part of Zeta valley, at the confluence of the rivers Zeta, Morača and the Širalija stream, woven into the urban tissue of the contemporary Podgorica, there are the remains of the classical architecture of Duklja or Doclea and an edifice from the Early Christian and medieval period. Founded on a limited area, of irregular, polygonal shape, Duklja, adapted to the configuration of the terrain, demonstrates the concept of the Roman urban planning, respecting the basic rule of executing two principal streets, cardo and decumanis, perpendicular to each other. Duklja, being a typical Roman town, features a central axis which used to connect still visible and recognizable representative structures, i.e. the Forum with a Basilica, the temples of Diana and Roma, the town spas, the urban villas, the ramparts and many other undiscovered architectural edifices – towers, gates, bridges and others. Duklja is surrounded by three rivers, which restricted the access by cutting steep canyons into the ground, therefore offering natural protection to the town. The entrances to the town as known today had been located on the northern and western side, with the Triumphal Arch, which was destroyed during the World War II. However, the advantage of the surrounding rivers was not only in providing the natural fortification, but also in providing constant supply of fresh water to the town. The climate in this area is typically Mediterranean, characterized by very hot and dry summers. 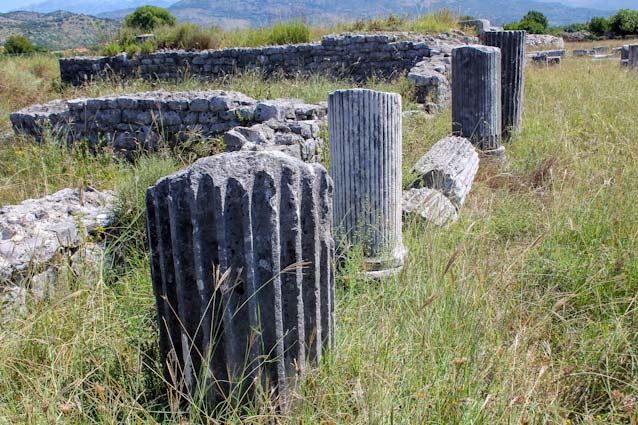 Duklja is the most significant archaeological site in the territory of Montenegro, a grandiose cultural monument in this area and its integral part. In addition, Duklja is the most thoroughly explored town in the south-eastern part of the Roman province of Dalmatia. As a municipium, Duklja has been mentioned since the Flavian dynasty, during the reign of the emperor Vespasian, in the first century AD. Due to its size, importance and position, Duklja became the capital of the newly established province of Prevalis, at the time of Diocletian’s reforms introduced by the end of the 3rd century. In the 5th century AD, it was ravaged by the Western and Eastern Goths, and in the year 518, according to some sources, it is assumed to have been struck by a strong earthquake. At the time of Justinian’s reforms and the renewal of the Empire, it several representative structures were added to it, i.e. Basilicas ‘A’ and ‘B’. At the beginning of the 7th century AD, after the invasion of the Avar – Slavic tribes, just like all urban agglomerations of the broader Balkan area, Duklja lost its classical character. It saw its revival in the 9th century, but this time it became the eponym of a broader area named Duklja after it. 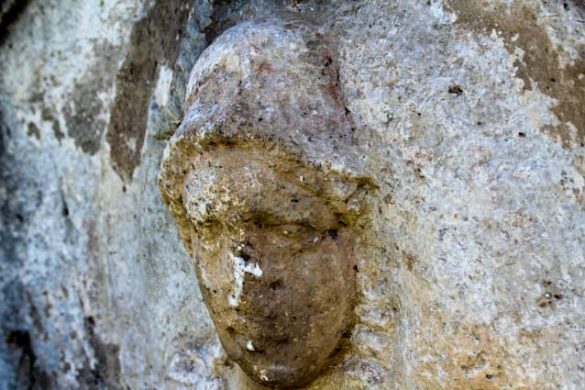 Within the boundaries of the ‘B’ Basilica, a 9th century cruciform church was discovered, which was confirmed by the most recent revision excavations carried out in the 60’s of the past century. The cruciform church could be the church of Saint Mary in the town of Duklja (‘sepultum est in eclclesia sanctae Mariae … in civitate Dioclitiana’), which, according to the author of Bar Chronicles, is mentioned as the crown church of the last Duklja kings. containing stone sarcophagi from the 3rd and the 4th century, as well as a tomb painted in Jewish symbols (menorah, fruits, star, garlands with birds). To a smaller degree, the archaeological explorations were being done in the area of the western necropolis, on the occasion of which around thirty tombs dating back to the 1st to the 4th century were discovered. The ancient-most tombs containing cremated human remains, date back to the 1st century, to the time of the emperors Tiberius and Claudius. This burial ritual was present at the necropolis even during Domitian’s rule, at the time when Duklja was granted s the status of a municipium, and it can be traced until the time of Alexander Severus. In addition, a large number of human skeletons, dating back to the 3rd to the 4th century, was discovered in the necropoli. There are tombs made of bricks, broken stone and larger stone slabs. Some of the deceased were buried in simple graves. There are interesting family tombs of area maceria cincta type. Similar structures are encountered at Komini near Pljevlja, made under the influence of Aquileia. Generally speaking, these types of tomb structures can be dated to the 1st – 2nd century, by means of coins found and belonging to the period of the reign of Antoninus Pius and Septimius Severus. Great interest in Duklja by many European authors of travelogues, lovers of antiquities and scientists started at the end of the 19th century and in January 1890 it resulted in the beginning of the first systematic archaeological explorations, carried out by the Russian scientist Pavle A. Rovinski upon the order, desire and financial support of the then ruler of Montenegro, Prince Nikola. Following two years’ long Rovinski’s works, the explorations were continued by an English team of experts headed by J. 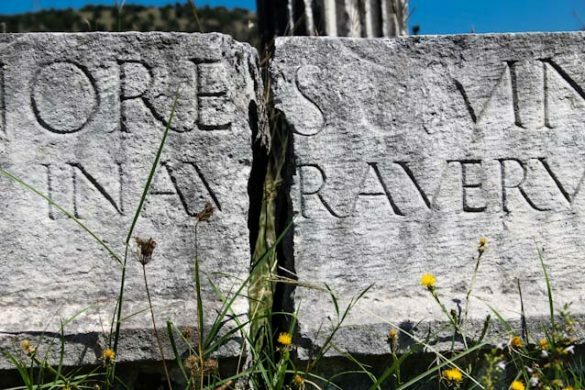 A. R. Munro, which published the book ‘On the Roman town Duklja in Montenegro’, thus deservingly valorising discovered insulae, structures and epigraphic monuments of classical and medieval Duklja. In the year 1913, Paolo Sticotti published, until then, most complete monograph on the urban ensemble of Duklja ‘Die romische Stadt Doclea in Montenegro’. In the 60’s of the 20th century, following four wars which had affected Duklja too, systematic archaeological explorations began. 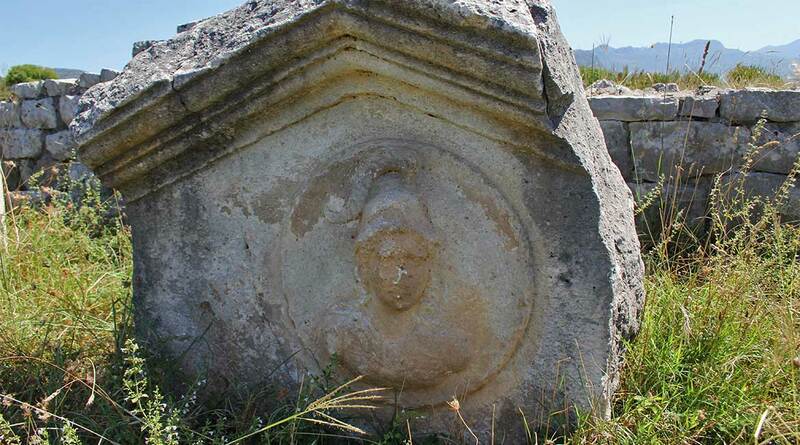 In the year 1998, at the archaeological site of Duklja , explorations were carried out within the project ‘Research, conservation and presentation of Duklja’. To a smaller degree, those explorations have continued within the framework of the same project.